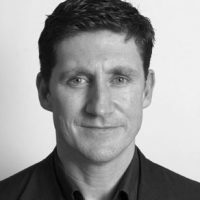 Eamon Ryan is Co-Leader of the Irish Green Party and former Irish Minister for Energy, Communications and Natural Resources (2007 – 2011). For Ireland, Is It London or Berlin? Irish Green Party leader Eamon Ryan argues that a breakup of the Eurozone would offer no benefits to Ireland, and that the solution instead is to champion a strong, Green economy that ties Ireland ever closer to Europe.